Discover the canyons of Nevada, Arizona and Utah alongside the bright lights of Las Vegas in this 10-day self-drive itinerary. 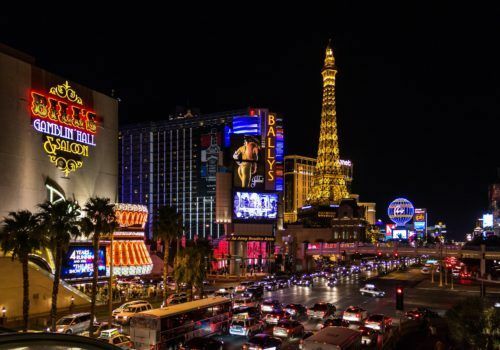 Starting and finishing in Sin City, you’ll have the opportunity to see both the Grand Canyon and Bryce Canyon as well as Moab and beautiful Lake Powell. If you’d like to do the trip in style, we can sort you a convertible and also extend your stay with visits to San Francisco and Los Angeles. Fly to Las Vegas and pick up your hire car. 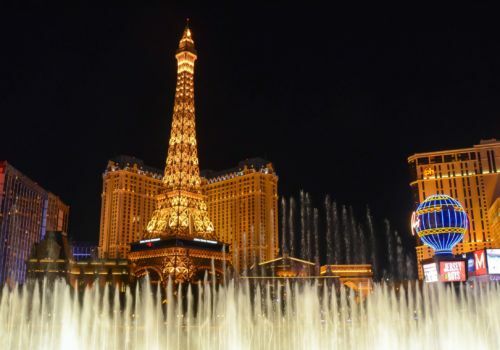 Welcome to this oasis lost in the desert of Nevada, Las Vegas is the city of luxury and excess, with its lights, its games, its glitz and its stars that continue to make the whole world dream. Morning drive to Grand Canyon, a superb geological phenomenon. This will most certainly be one of the highlights of your trip. Walk along the South Rim to see one of the most beautiful and awe-inspiring wonders of the world. The Colorado River flows over a mile below the canyon rim. Our advice: We recommend that you take the journey and see this natural beauty by air with a helicopter ride above the Grand Canyon. Leave the Grand Canyon this morning and head to Page on the edge of Lake Powell, a city created by the damming of the Colorado River. 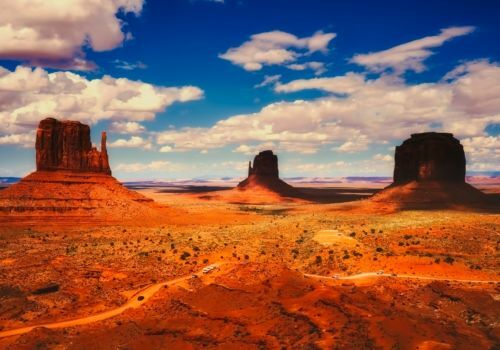 Leave for Monument Valley, where you will find yourself surrounded by dark red hills. Visit of this imposing area also a popular filming area for western movies. This 25 mile-long and 16-mile wide desert plain overflows with gigantic sandstone monolithic structures rising high above the valley. Our advice: Take a guided jeep tour with the Navajo Indians. Leave Monument Valley and continue north towards Moab in Utah. Stop at Dead Horse Point, one of the most prominent points on the Colorado River which is accessible by a trailhead. Afternoon drive to Canyonlands National Park where you will see this labyrinth of canyons scattered with sandstone pinnacles. The view of the Colorado River is superb from Desolation Point in the park. Spend a day exploring Arches National Park, where you can find over 2,000 natural arches of various shapes and sizes resulting from the erosion of red and gold sandstone. Our advice: Raft the Colorado River through Professor Valley: this section of the river is great for everyone. Visit of Bryce Canyon, one of the most fascinating natural parks within the state of Utah. The Mormons discovered this site in the 19th century. The dazzling shapes and shades of the stone of memorable Pink Cliffs constantly vary from dusk till dawn. Leave for the oldest park in Utah, Zion Canyon with its cathedral-shaped rocks, some of which are more than 3,000 feet high. There is also a great diversity of plant and animal life due to the park’s unique geography. Drive to Saint George, a town founded by the Mormons. Visit of the Mormon visitor centre and temple. Afternoon drive to Las Vegas. You will go from the calm and serenity of the parks to the excess and extravagance of the legendary city.